Before I fell in love with food, I fell in love with elephants. After all, I wasn’t kicking and screaming into the kitchen all by myself. Someone had to drag me, and that someone, as you may know, was my future-husband, Stefano. What you may not know, is that someone – or something – was dragging Stefano. Elephants. Seven of them to be exact. 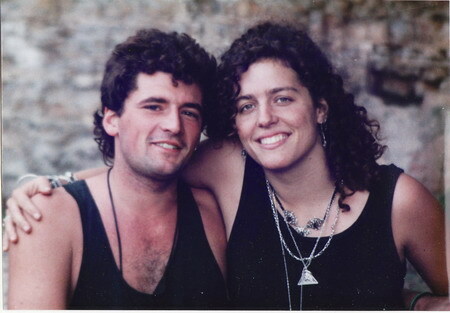 A bit of back story: December, 1988 found me bumping around northeastern Spain on an old Bela Vega bus with a band of street performers and misfits looking for work in Catalonia’s orange groves. One night, the juggler saw a circus poster and decided he’d ask for a job – except he didn’t speak Spanish. I conjured the remnants of high school Spanish and waltzed with him into the big top. Next thing I knew, I was working in the cafeteria by day and dancing in a chorus line wearing a rhinestone bikini and my very own pair of ruby stilettos by night. Enter the elephant keeper, Stefano, and the seductive powers of his elephant troupe. Twenty-two years later, our years in the circus are distant memories, but we will never forget the impact elephants had on our lives and the elephant-sized holes that remained when we walked away from these amazing beings. In 2008, while traveling in Thailand and Cambodia, Stefano and I knew we wanted to see elephants, and we knew we didn’t want to see them performing or painting or hauling tourists on jungle treks. 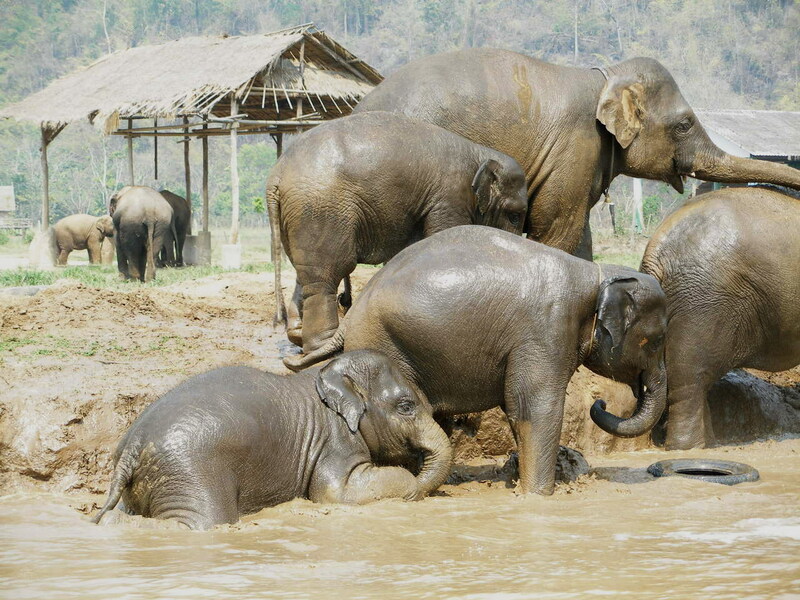 In Chiang Mai, Thailand, we heard about Elephant Nature Park, a sanctuary for rescued elephants. The park is the dream of a very small woman with a very big heart. Sangduen “Lek” Chailert has saved over thirty elephants, one at a time, using a combination of volunteer labor, personal funds, and international donations to bring her forty-acre reserve to capacity. Her mission is to offer sanctuary, advocate for elephant rights and welfare, and educate Thai people and the rest of the world on the Asian elephants’ fight for survival. Here’s a great video of a few of the babies testing their authority with the pack of dogs who also make the park their home. Watch for the back leg kicks (aimed at both dogs and mahouts), and how the babies run and hide among the aunties when the dogs react. The woman with the hat is Lek, and her love and empathy for these animals is clear. It can often take weeks or months for a position to open at the park, but the day Stefano and I inquired about volunteering, a couple of other volunteers had to cut their visit short. Kismet. 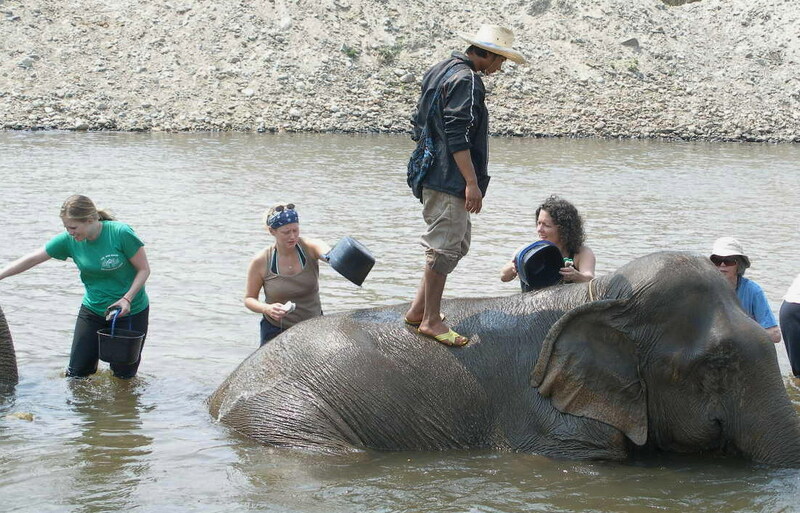 By the following afternoon, my husband and I were knee deep in a remote river scrubbing 4,000 pound elephants. We spent the remainder of our vacation living in a bamboo hut, mixing elephant food, bagging elephant dung (traded for produce with a local organic farm), and making time between tasks to inform day visitors of the park’s mission and encourage them to learn more. Observing these elephants interact freely with their family groups is heartwarming, and watching the babies tussle with each other in the mud pit is pure belly-laughing joy. Working toward the success of Elephant Nature Park was both a humbling and empowering experience for Stefano and me. For twenty-two years, elephants have bound our hearts and fueled our dreams. Thanks to Lek and her park, we were finally giving something back. We continue to support the park through small donations and encourage anyone who can spare a few dollars now and then to do the same. If you’re interested in helping, click on the video link above, and then click on the donation link. 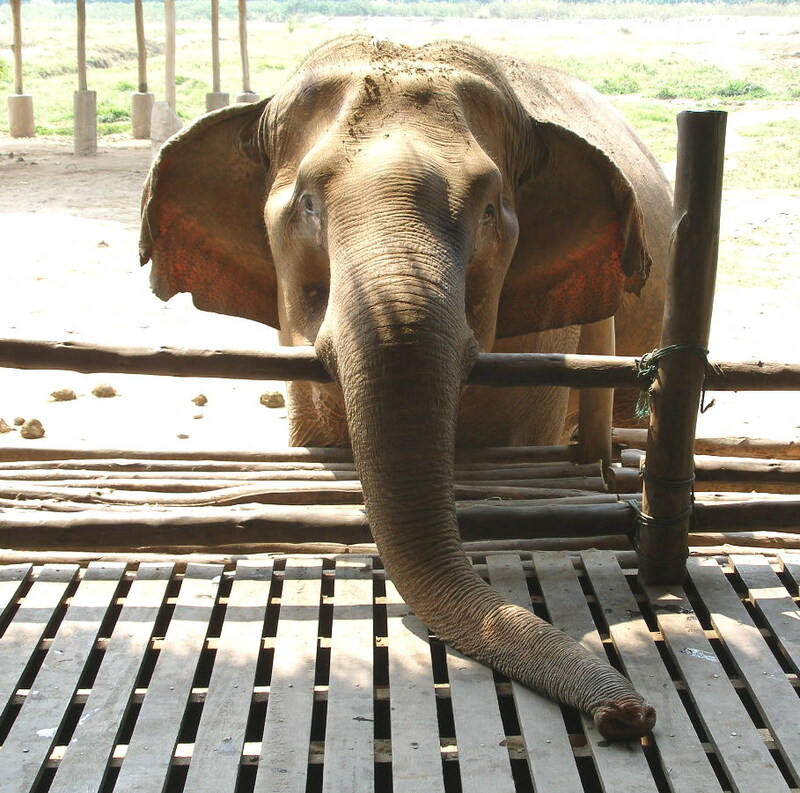 You can also visit http://www.elephantnaturepark.org. A little money goes a long way in Thailand, and for ten bucks, you can buy an elephant lunch. Hmmmm… lunch. Somehow, it always comes back to the food. 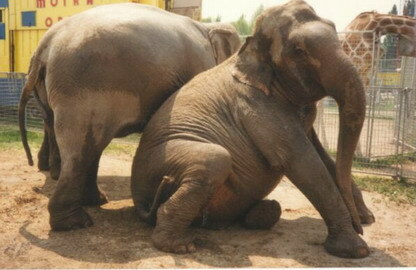 this is absolutely my favorite post, the story of the Thai elephants and your visit is so touching. The photos are terific!